Welcome to And finally, our round up of the week's rumours, whispers and smaller stories, before Monday crashes back in on our consciousness and brings with it another whirlwind of wearable news. This week we have news on Apple Watch apps, a wearable that can detect pollution and much more. And make sure you sign up for the weekly Wareable newsletter to keep in touch with everything that's happening. 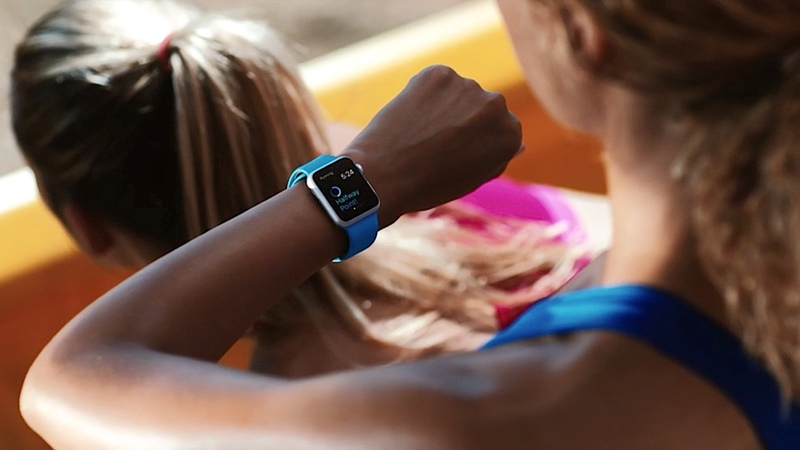 "Given our view of consumer demand, along with Apple's very clear commitment to the space, we believe the company is likely to expand its wearables line-up to include data tracker type devices alongside the Apple Watch." "Apple doesn't want to leave any money on the table in the wearables market, and stubbornly staying in just the high-end smartwatch segment would do that. "The overall wearables market will be worth $40 billion by 2020, and 320 million units are forecast to be shipped that year, according to IHS. That's simply too big of a market for Apple to limit itself to just smartwatches." But where does Fitbit come in? Well a cheaper tracker would stomp all over its turf, and that, The Fool said would be "very bad news" for the fitness tracking giant. We've moaned before that the Apple Watch app store is becoming a bit of a ghost town, with a lack of quality offerings being added. But Apple hasn't taken its eye off the ball fully and has ordered devs that any app submitted after 1 June 2016 must be full native. Originally, all Apple Watch apps worked via a host app on the iPhone, before native apps were added in watchOS2. Check out our assessment of the Apple Watch one year after launch, and of course, our own round up of the best Apple Watch apps. It's hardly the height of wearable tech but Oregon University has found that those silicon charity wrist bands may have a secret weapon. The silicon acts like a skin and absorbs environmental pollutants. What's more, a study of 92 children wearing the bands found that many were being exposed to a range of chemicals, and that there were huge differences in the exposure depending on where they lived. Check out our coverage of wearables that have the ability to save life, and women's health wearable tech, too. A new Kickstarter project from Copenhagen is raising funds for perhaps the smartest mundane item we've ever seen. The smart lamp socket not only turns your basic lamp into connected lighting, but it can also detect burglars/crying babies thanks to a built-in sound, humidity and temperature sensors. We've been creating the ultimate smart home diary, as editor-in-chief Paul connects up his new home with the latest tech.